To do so, go to Appearance > Themes in the menu, then select the Install Themes tab at the top of the page. Once you are at this page, select Upload, then Choose File to locate the .zip folder on your computer and select Install Now. 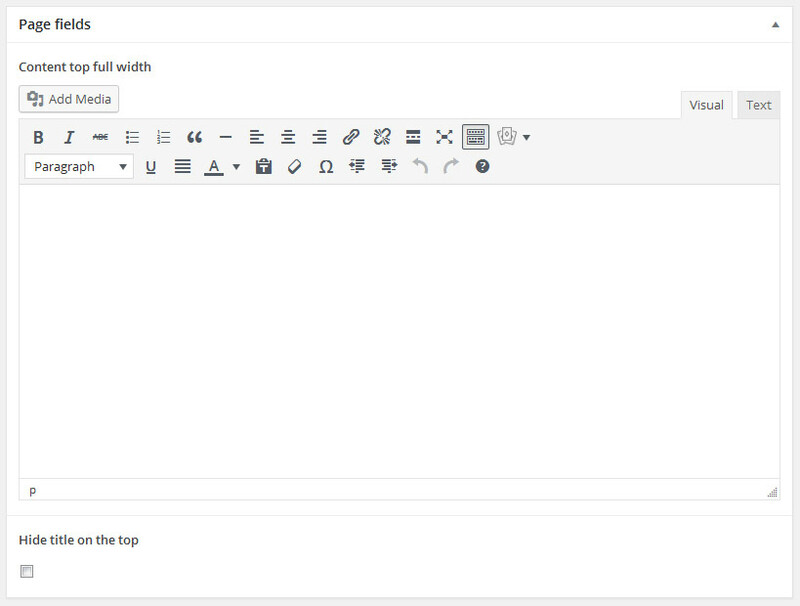 Once you have installed the theme, you can go back to the Themes page in the WordPress Admin Panel (Appearance > Themes) and select Activate Poka theme. If you want to change something in the theme it is highly recommended to install the provided Child theme and make all the changes you want there in order to have the ability to update Poka theme in future versions. 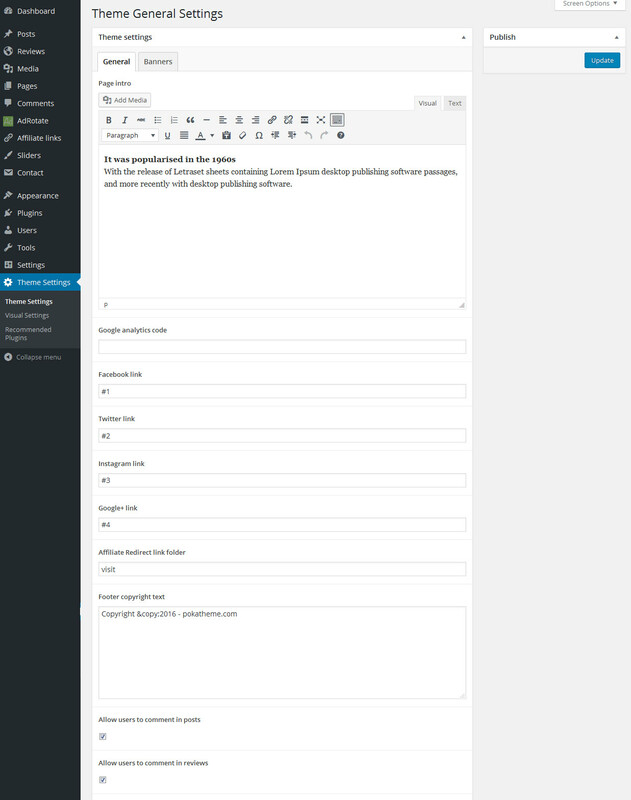 The theme is using a lot of actions/hooks so you can override/change most of the Poka theme functions. Then select poka-content.xml from your zip and click Upload file and import. After that you can delete your old page Homepage. 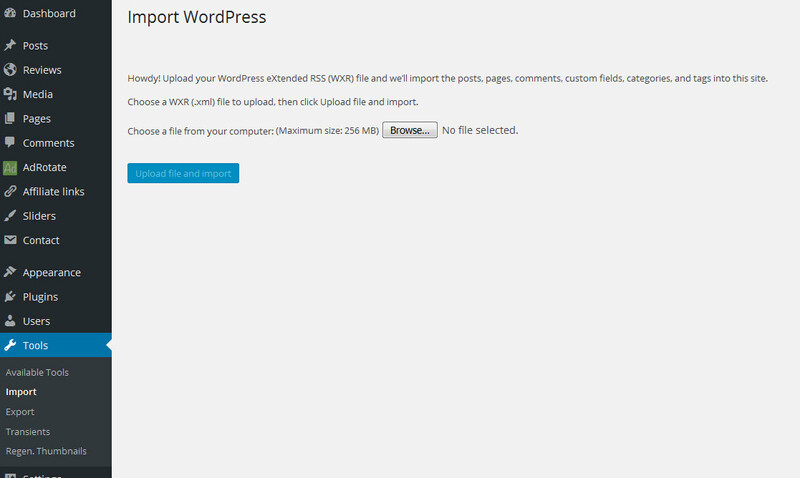 Then select poka-content-demo2.xml from your zip and click Upload file and import. On the assign authors dialog select your current user to assign the posts and check Download and import file attachments. After that you can delete your old page Homepage. Now you have the Demo2 options imported. After theme activation a new page has been created with the name Homepage and it’s been set as your front page in wordpress options. 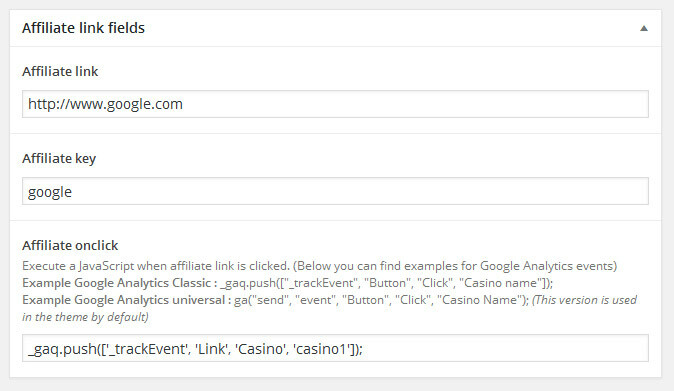 This is the page you can use for the homepage of your site and you can customize it using all the available shortcodes. This is the banner available space between the main content and the site header. The available width in desktop mode is 1000px and you can place your banner snippet, an image with a link or your Adrotate shortcode. This is the banner available space after the main content and before the site footer widget area. The available width in desktop mode is 1000px and you can place your banner snippet, an image with a link or your Adrotate shortcode. You can upload a background image just like the example. The image is going to be centered and at the top of your page. 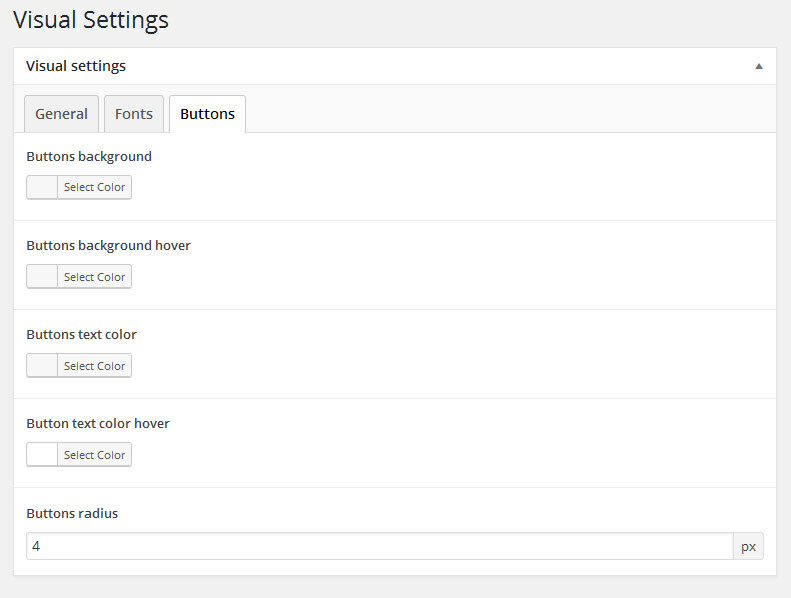 The color is going to be used as background color in the footer widget area and in widgets. 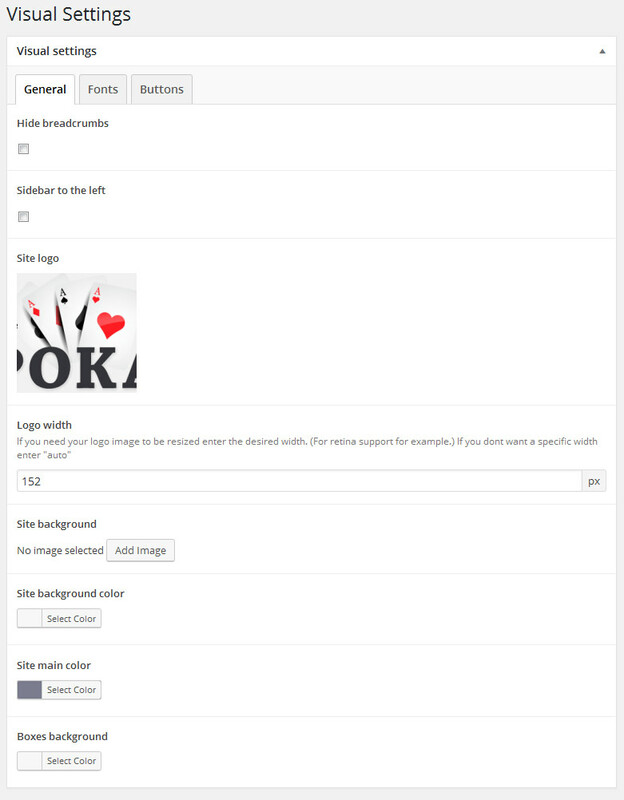 The background color for the Single review shortcode and for the boxes in Review pages. The secondary font color is going to be used for the text that is more important and that has to be more vivid than the regular text. For example some texts are the Bonuses in Table Reviews and in Single Reviews. 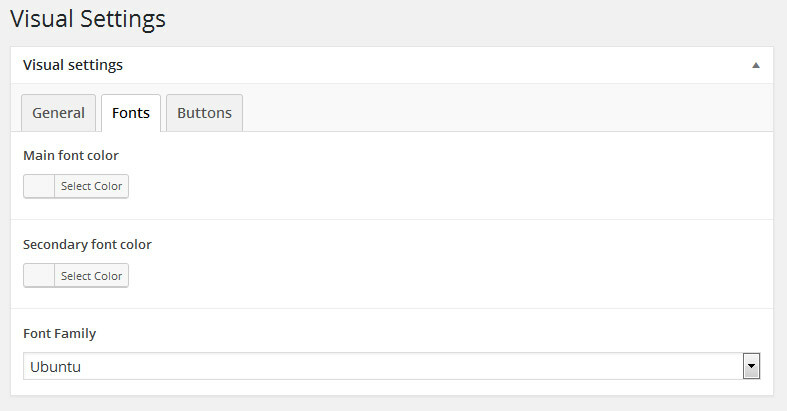 From the buttons tab you can set the background, text color and radius for all of your site buttons and the hover states as well. The settings you can see in this specific tab are self explanatory. 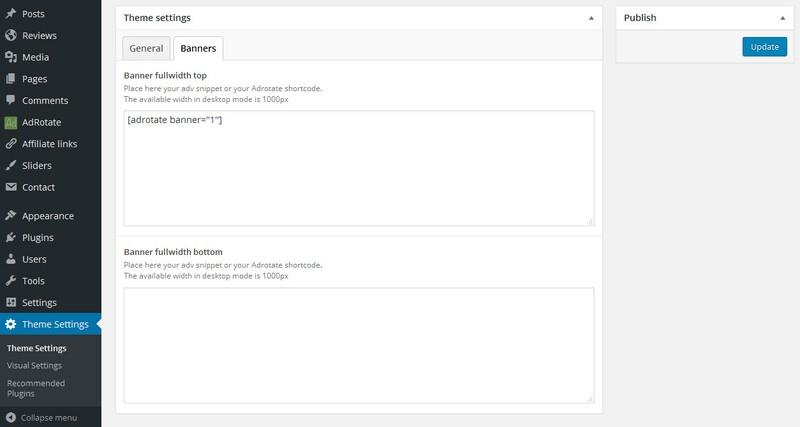 The content that is going to be displayed full width before the two columns layout. If you want to hide the h1 title at the top of the page. For example if you want to display the title inside the content. 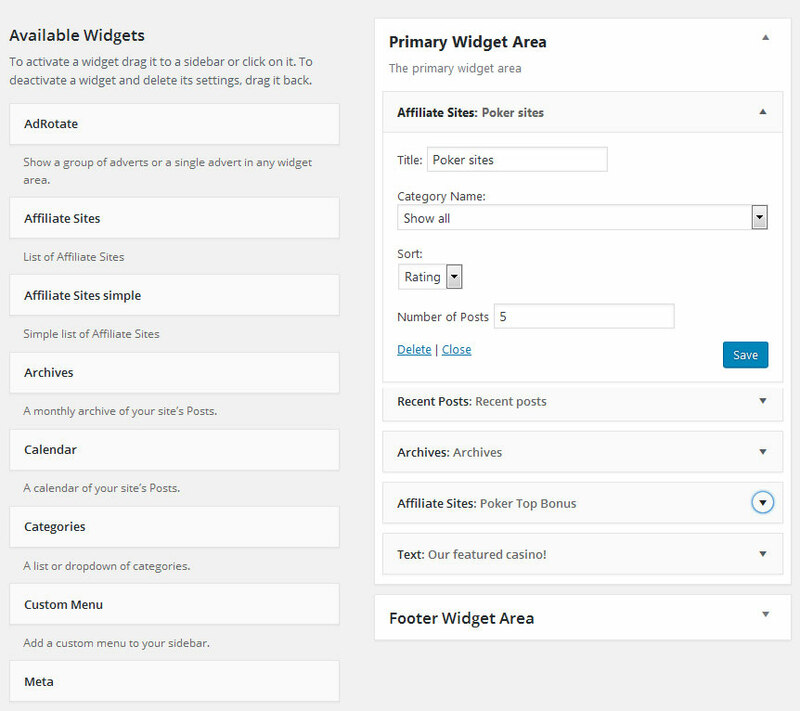 The bonus of the Review that is going to be used in widgets and in Review table. The bonus of the review that is going to be used at the top and bottom of the Review page. The thumbnail of the reviewed site. Attach a large thumbnail for the larger view and the thumbnail is going to be created automatically. The content that is going to be displayed in full width before the two columns layout.